Rotherham United Goalkeeper Laurence Bilboe has signed a new one year contract. The twenty-year-old hasn’t made an appearance for the first team yet but, as things stand, is the only shot-stopper at the New York Stadium at the moment. Laurence came through the Millers Academy and signed his first professional contract in March 2016 and has spent time with the first team being on the bench for many games as well as playing in a 2015 pre-season friendly against Alfreton Town. December 2017 saw the young ‘keeper out on loan with Brighouse Town and also had a loan spell with Sheffield FC. Obviously, we are all delighted here at Vital Rotherham for Laurence but I do hope the Millers will soon bring in a tried and tested ‘keeper – hopefully getting Marek Rodak back from Fulham on another year-long loan deal, or more. 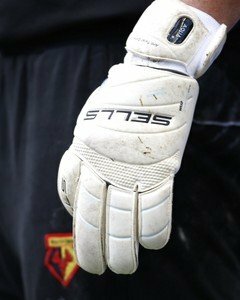 There’s actually a few ‘keepers who are coming to the end of their contracts this season who might do a job for the Millers – the likes of Mark Bunn who has only played once for Villa this season, though he is thirty-three so perhaps a little ‘old’ for the Millers, Reading ‘keeper Jonathan Bond who has been on loan all season at Peterborough, a bit closer to home is Sheffield United’s George Long who has been on loan with AFC Wimbledon or perhaps Ben Wilson who has had various loan spells since joining Cardiff four years ago. Not for us to speculate I don’t suppose as I imagine Paul Warne has a plan A, B and possibly C.